Is output-neutral design with Lab colours possible in practice? – freieFarbe e.V. It makes absolute sense to work with Lab colour definitions and values in the design, because these define a colour that is output neutral. For example, a company logo should be designed in such a way that it can later be implemented in various ways without problems, e.g. in print, on the website, on cars and textiles. This is common practice and the Lab colour definition provides the neutral prerequisites for this. Unfortunately, this is still wishful thinking in most cases. Most graphics programs allow Lab colours, but these are often lost during PDF export and almost always when an object is to be processed in another software. However, PDF files and file export/import are common: printing companies expect PDF data and designers work with several tools for layout, graphics, image processing, etc. 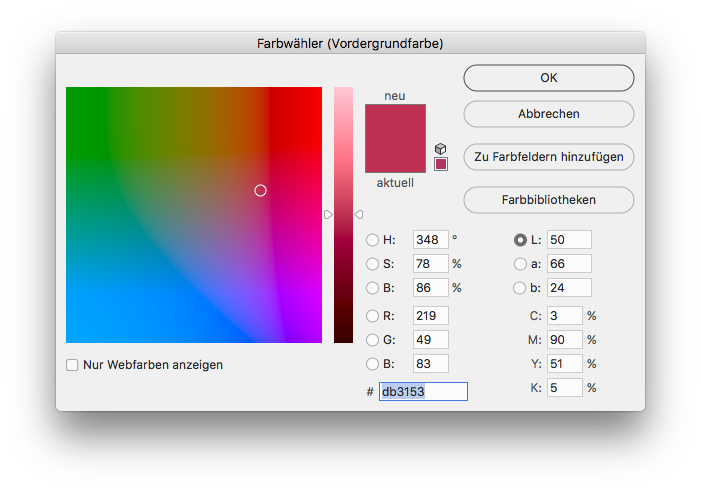 You can create a colour in Lab in Illustrator, but the Lab information is converted to RGB/CMYK as soon as the colour is confirmed and moves to the colour list. With a trick it is still possible to permanently integrate Lab colours into a document: by creating them as so-called “spot colours” – then they appear in the Illustrator colour palette as separation colours with the alternative colour space Lab and are retained as such when exporting the file into another file format (EPS, PDF). Illustrator colour selection: Although you can create a colour in Lab, it is immediately converted to the document colour space RGB or CMYK. CorelDraw allows you to work with any number of Lab colours and works well with them, but you cannot export such Lab vector data to other software. Neither EPS nor SVG objects created in CorelDraw keep their Lab colour definition, but they are saved in the currently set RGB variant. CorelDraw can’t even store Lab data in TiFF, PSD, or PDF files, even in the latest 2018 version. Any number of Lab colours are possible in one CDR file. When exporting to other file formats, however, Lab colour definitions are lost (here the PDF export). 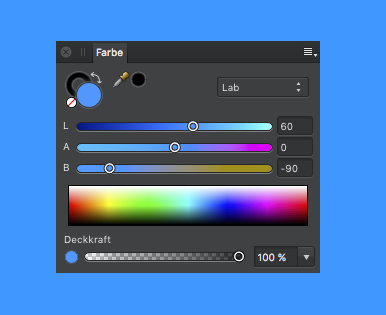 In Photoshop, the use of Lab as document colour space has been possible for many versions. Colour lists in Lab format (ASE libraries) can also be imported into a Photoshop document, and if these colours are used, their Lab definition will be retained (only if the document colour space is Lab or the Lab colours are created as spot colours when exported to other formats). A suitable exchange format for Lab bitmap files is the TIFF format. 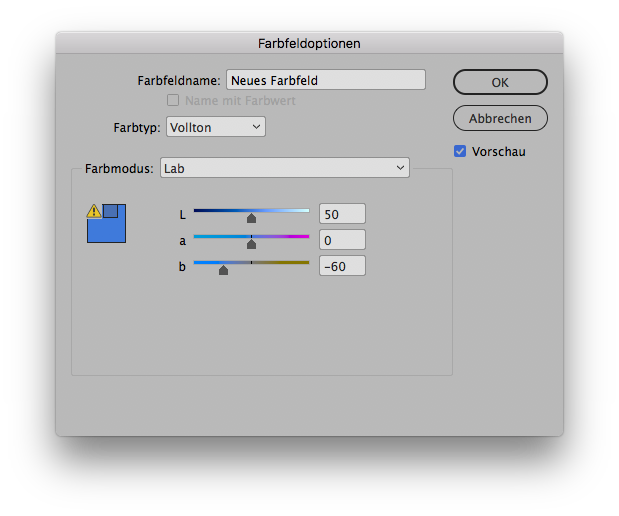 Lab TIFFs can be easily integrated into layouts created in InDesign, for example. Even a PDF/X-3 or PDF/X-4 created with Photoshop without colour conversion to the output target still contains lab data. It is similar when layouting with InDesign. 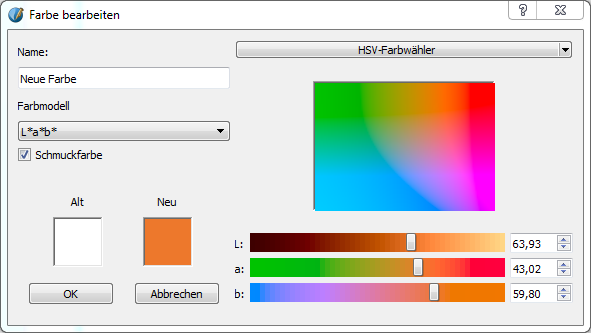 Colours can be defined in Lab, Lab bitmaps can be included, and exported PDFs can also contain Lab colours. During PDF export, an Lab colour is only retained if it has been defined as a “spot colour”, and a maximum of 27 of these colours may be contained in an InDesign document – including the spot colours within imported graphics. You can define Lab colours and transfer them correctly into PDF files with the well-known QuarkXPress layout tool – quite similar to InDesign. This free layout software is a pioneer in the area of colour, it can handle not only Lab but also HLC colour definitions correctly, read in large colour lists and generate colour sample pages for any number of colours. Unfortunately, it is not possible to pass on Scribus data with Lab colours correctly as PDF. 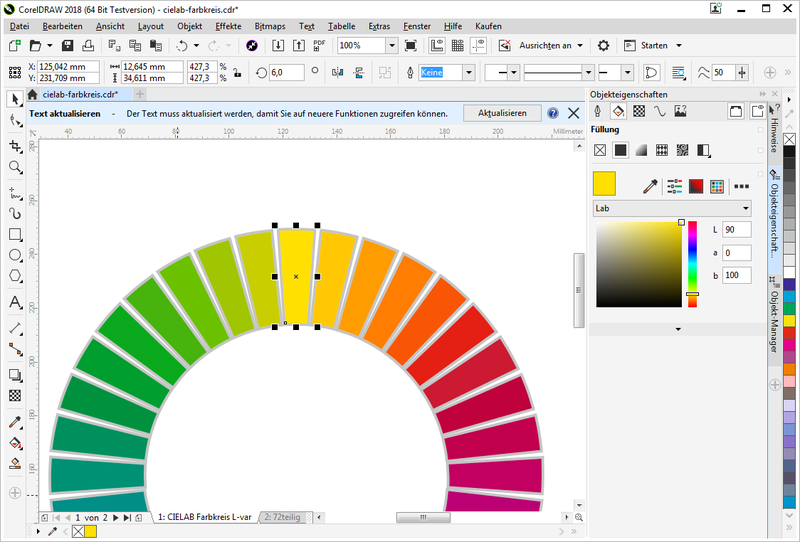 Similar to CorelDraw, Scribus converts Lab colours to RGB or CMYK for PDF export. Lab colours can also be used here, but these are lost during PDF export. 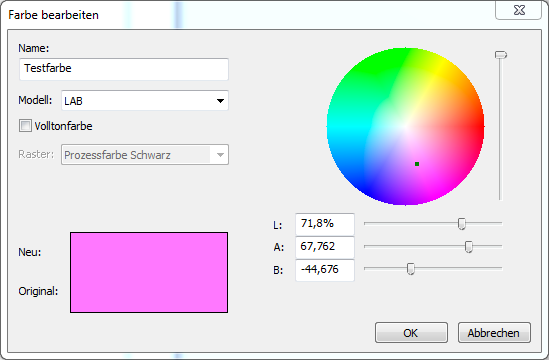 An Lab colour can be created in this layout program, but it becomes CMYK during PDF export, although the PDF format would also support Lab colours in the PDF/X-3 and PDF/X-4 variants. This is particularly problematic for colours that are outside the gamut of the set CMYK working colour space, because these are displayed incorrectly in the PDF in values and representation. Although VivaDesigner allows output-neutral Lab colours, these are converted to the current CMYK working colour space during PDF export. With the most popular media design programs you can work with output-neutral colours, but only Adobe InDesign and (via a detour) Illustrator and QuarkXPress can handle the transfer of Lab colours into a PDF. It is completely impossible to transfer a company logo drawn with CorelDraw in Lab into the layout of the company brochure – no matter in which layout program the brochure is created. 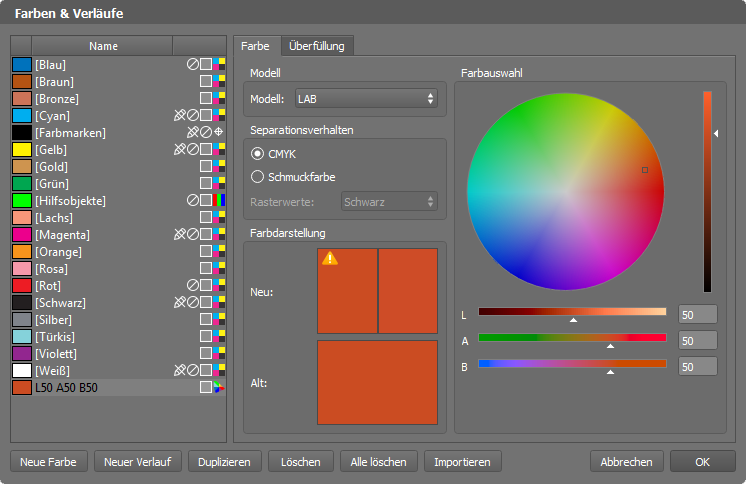 CorelDraw does not provide a suitable file export for Lab colours. 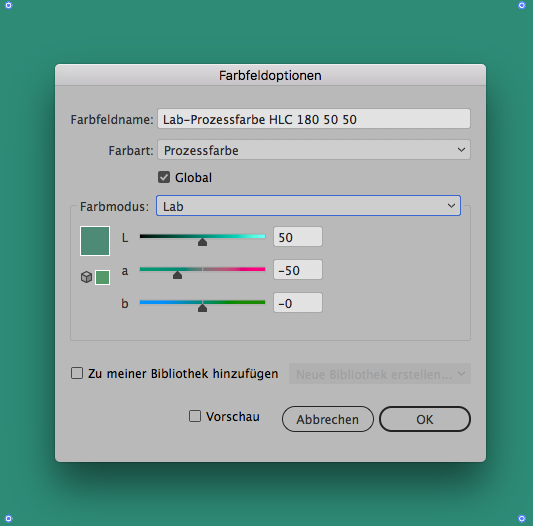 This works in the combination Illustrator and InDesign, but only if the PDF file contains a maximum of 27 different Lab spot colours at the end – what is not enough for several external graphics in a brochure, and some RIPs are limited to an even smaller number of spot colours. Device-neutral laboratory workflow across several programs is hardly possible in the usual combination of bitmap, vector and layout data. There is a need for action on the part of software manufacturers, especially in the area of file formats for vector data and the number of special colours. As long as the Lab solution does not work properly, you should create your data “neutrally” in RGB. Here the sRGB colour space is a quasi-standard due to its universal distribution. (s)RGB data can be exchanged relatively easily as PDF, bitmap and vector, and CMYK conversion for certain printing processes is a well working practice. This makes more sense than creating separate files for each CMYK output variant in the original program, which is still common practice in many cases. The disadvantage of the RGB method is that RGB is not an output-neutral definition (i.e. it must be said which RGB it is) and secondly that the RGB model is not defined perceptually and therefore does not function according to perception. With RGB, questions about intermediate colours, opposite colours or colour gradations, cannot be answered easily. Thirdly, the RGB colour space is limited, e.g. the widespread sRGB cannot display many cyan and turquoise tones that are possible in four-colour offset printing.